Some types of packaging are recycling superstars: Things like glass bottles and aluminum cans you can practically recycle anywhere. But other containers can be trickier. For instance, who truly understands that number system on the bottom of plastic bottles? For a while, paper-based cartons have fit into that latter group; however, the common milk and OJ option is about to get a small but significant visual upgrade – the right to use the official “please recycle” logo – thanks to broad efforts to make the containers more recyclable across the US. 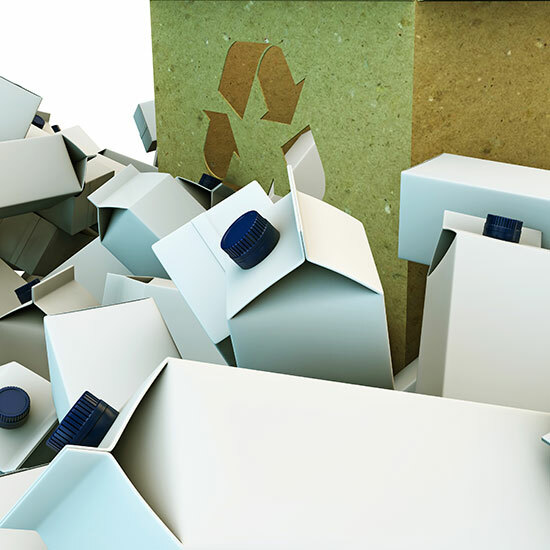 But according to Jason Pelz, vice president of recycling projects for the council, cartons have finally breached the 60 percent marker, meaning customers can now feel more confident in the environmental-friendliness of their carton-contained goods. “Being able to be recyclable is a competitive thing for any package, whether it is a carton or aluminum can, and having that improved access and becoming mainstream is going to be a benefit for cartons as whole,” Pelz explained. So next time you’re debating whether it’s worth recycling a carton, know that not only will you be letting down Mother Nature, but you’ll also be disappointing Jason Pelz of the Carton Council of North America. If that doesn’t get you recycling, I don’t know what will.